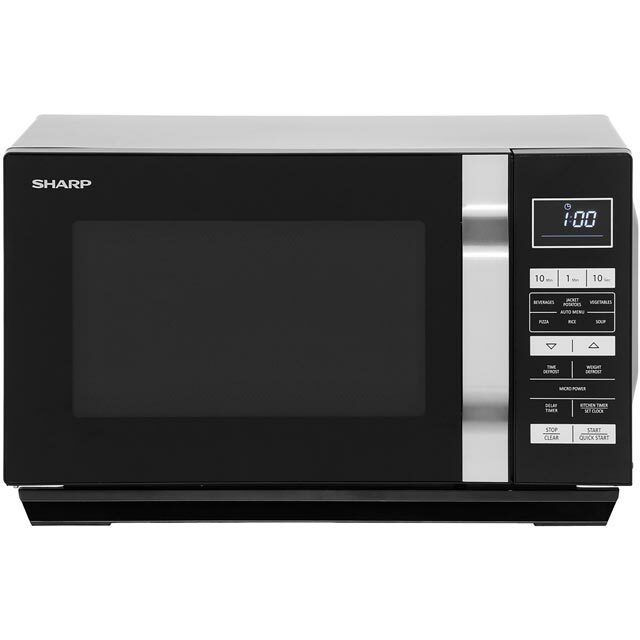 Prepare quick and tasty meals with this Sharp combination microwave. 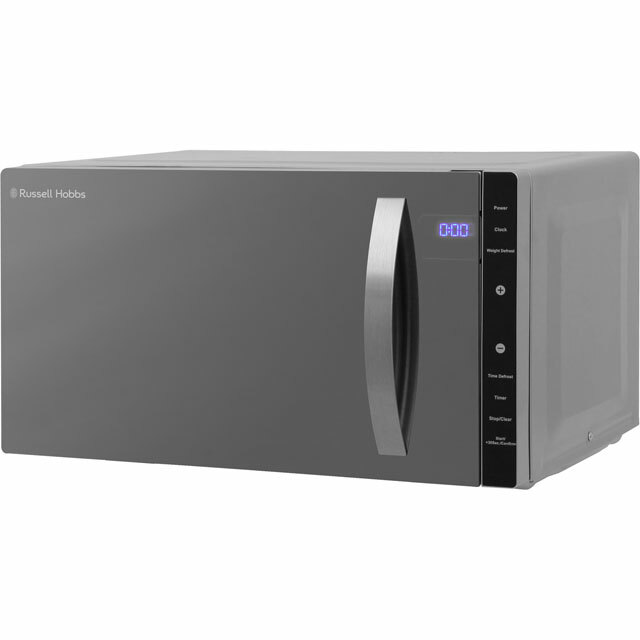 It has a 23 litre capacity and 900 Watts of power, making it ideal for smaller households, and perfect for quickly heating up leftover stew. Its innovative flatbed design uses a glass tray instead of a turntable. This means that the microwaves reflect off the inside walls, before hitting your food and turning into heat, cooking your ingredients more evenly. Also, the 15 programmes remove any guesswork, so whether you’re boiling rice for a curry or vegetables for dinner, you’ll always get the best results. Plus, the grill option is great for the summer chicken salad, and because it uses Quartz bulbs which heat up more quickly than standard ones, your dishes will be ready in no time. Absolutely brills, easy to use, nolonger having to put up with plates falling off the turntable. Haven't found anything wrong with it. Misses just has slight problem seeing the clock when not in use because it dims down a bit. 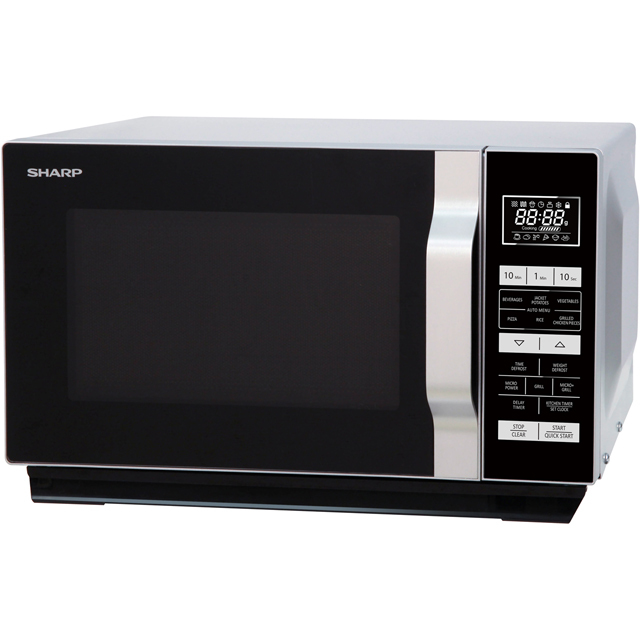 With out a turn table this microwave is quick and easy to clean, looks great, and is plenty powerful enough. Good range of functions, defrosting quickly. The grill is a nice addition. AO were great, no issues to report, fast confirmation and regular delivery updates made this purchase very easy. Delivered on time, cheaper than any other retailer. Perfect. Thanks AO. Microwave seems very good, I like the fact their is no turntable. 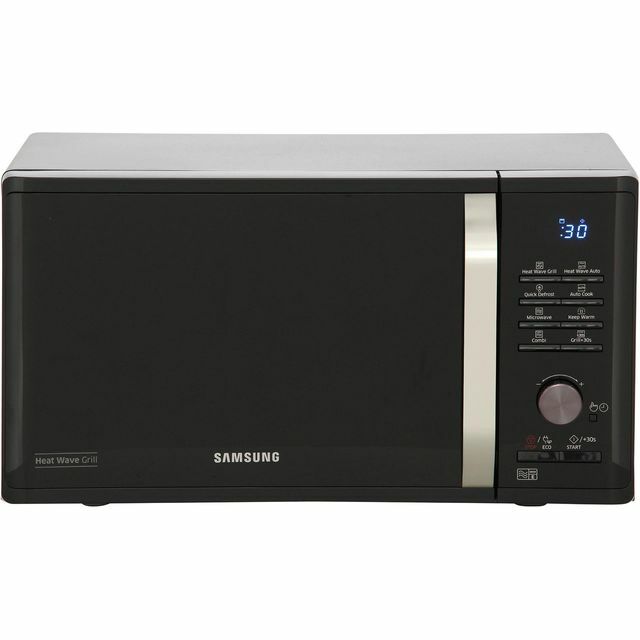 However it has a very noisy fan which runs on for up to 3 minutes after the cooking is complete. I have an open plan kitchen/lounge so this is a bit of a pain. I have never owned a microwave which did this. Works well, good idea not to have a turntable and handy to have a grill. We use this in our caravan. 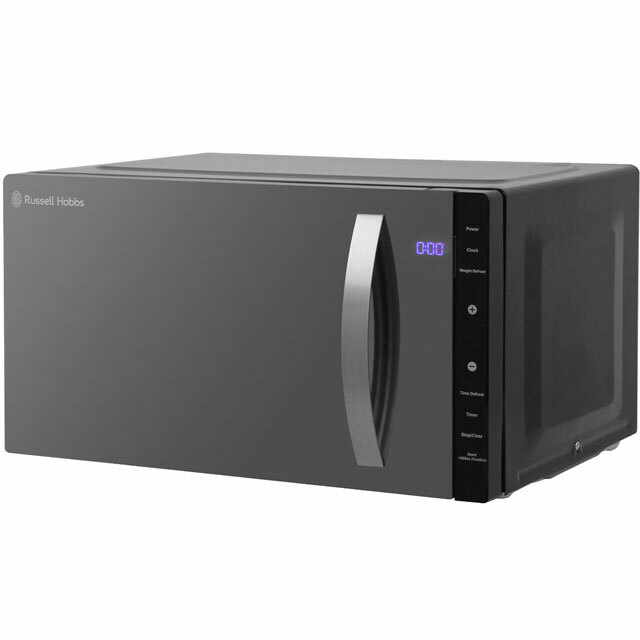 Really pleased with this microwave, I had had my other one for quite a while so was dreading learning how to use a new one as I’m 78 and don’t take to new technology very well, but this is so easy to use, and the space inside is excellent plus no messy glass plate to wash all the time. Timer is so easy to work out, I even set the clock myself. Positive & negative points on the microwave are; 1. Good interior that is bright and spacious 2. Good idea to have ‘suckers’ on the base of the microwave to stop slipping 3. Control panel is simple to use 4. Manual is straight to the point in explanation. 5. Poor features are the buttons on the control panel, they need to be pressed a couple of times before they register on the digital display. 6. The fan runs for 2/3 minutes after the microwave cycle has finished, not necessary really.